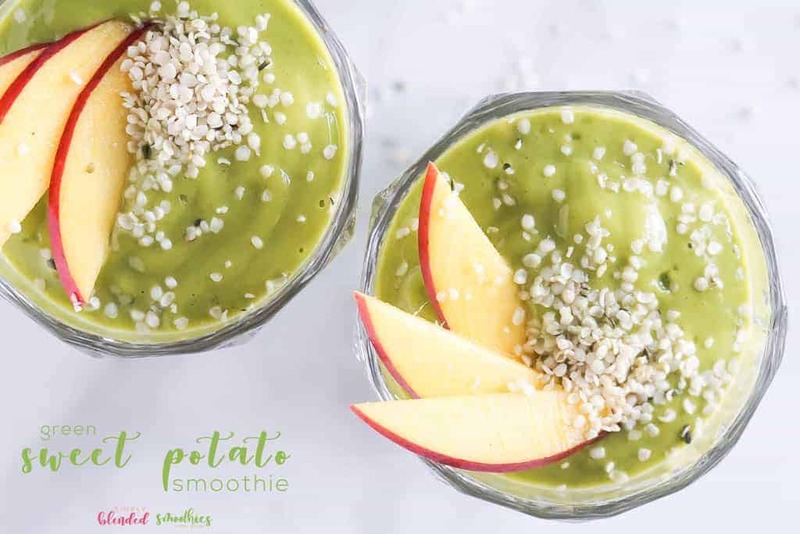 This delicious Green Peach Mango Smoothie tastes like a tropical treat and is a healthy and nutrient-rich was to begin your day. 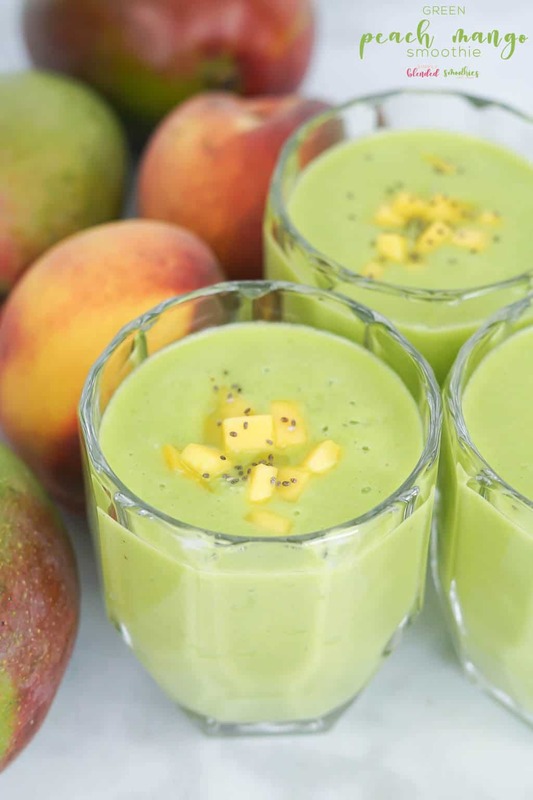 I love green smoothies (see all of them HERE) but the combination of peaches and mango makes this green smoothie taste like a sweet mango smoothie and you’ll never know it has healthy greens in it except for the beautiful green color. So keep reading and snag this recipe, put your feet up, and pretend you’re sitting by a beach somewhere nice and warm! It is no secret that I love green smoothies. I make them often in my house…weekly, daily, sometimes multiple times a day! But really, the trick is all in the delivery. A green smoothie doesn’t have to taste “green”, it can taste like a fresh tropical treat that your kids will love and beg for. Don’t believe me? 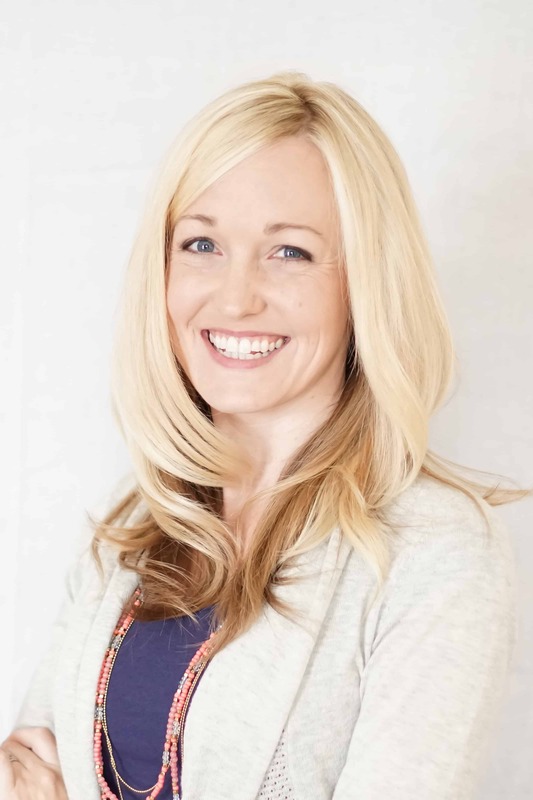 Try any of my green smoothie recipes and you’ll believe me. Why should I drink a smoothie? You should drink a smoothie because it is a delicious and simple way to get your fruits and veggies for the day. Smoothies are a nutrient-rich, delicious drink that will leave your tummy full all morning long. 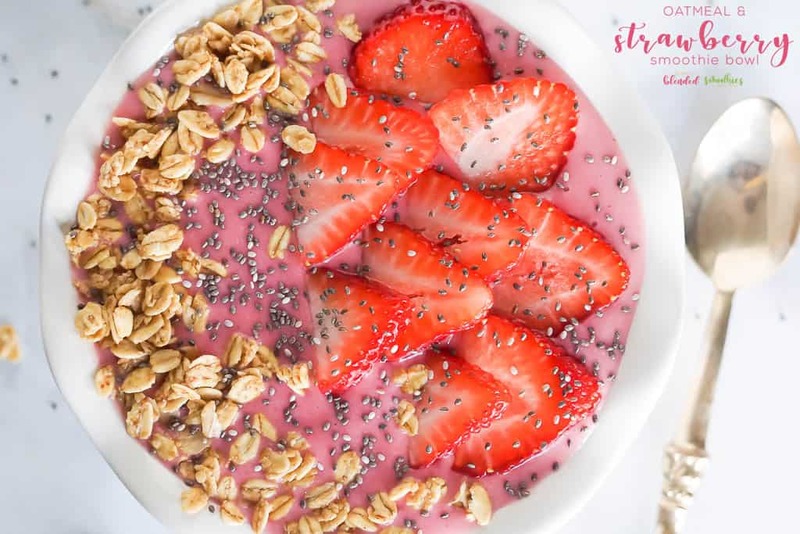 If you are looking to make healthier choices with your food consumption, adding a fresh smoothie to your menu every day is a great way to do this! Spinach and kale are the most popular greens for a smoothie because they are so good for your body! They are both mild enough that fruit will be stronger than the “green” taste. Spinach and kale are also really easy to come by at any local grocer. Personally, I prefer spinach to kale, but both are great options! In this recipe I use spinach, but feel free to use kale instead. What do I use to make a green Peach Mango Smoothie? 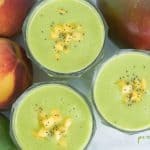 You will use just a few ingredients that you may already have in your fridge or freezer to make a green peach mango smoothie! You will use spinach, mango, peaches, banana, milk and ice. I always have spinach, bananas and milk in my home and frozen peaches and frozen mango are easy to keep on hand in my freezer! And you will also need a great blender! There are many blenders you can use for making smoothies and milkshakes, but I personally own the Vitamix 780 and think it is simply the best. 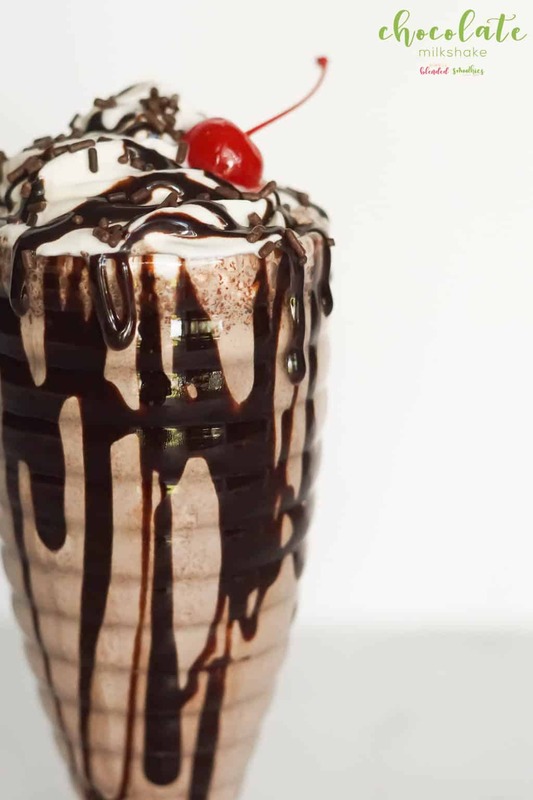 I get smooth, consistent results every single time which is exactly what I want for all my smoothies and this is also perfect for some milkshake if you want everything blended together well! You can buy your own Vitamix 780 HERE. Are you ready for my green peach mango smoothie recipe? Alright, let’s begin! 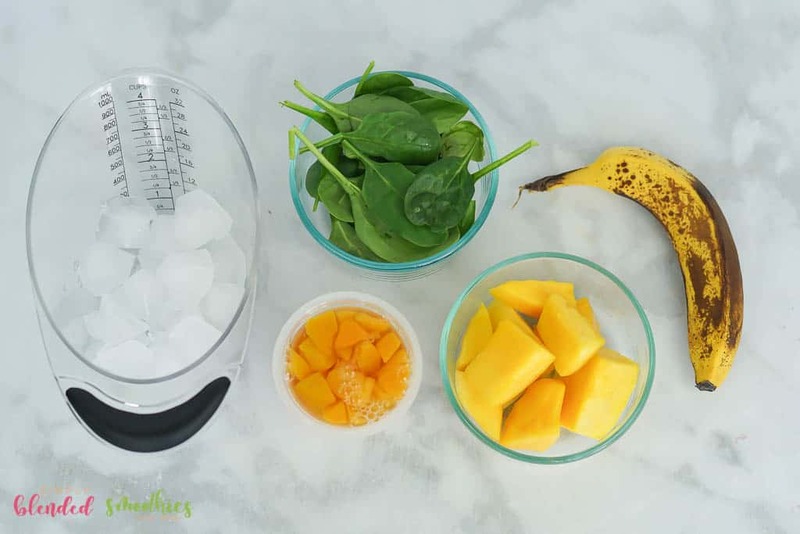 Place the spinach, mangoes, peaches, banana, milk and ice in your blender. Blend on high until thoroughly combined and the perfect temperature and consistency. Pour it into a glass. Top with fresh mango dices and chia seeds if desired. 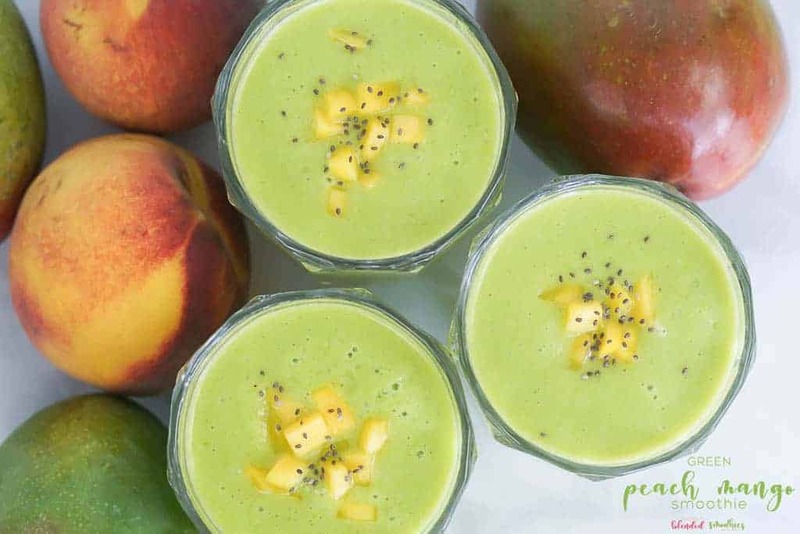 This delicious Green Peach Mango Smoothie tastes like a tropical treat and is a healthy and nutrient-rich was to begin your day.